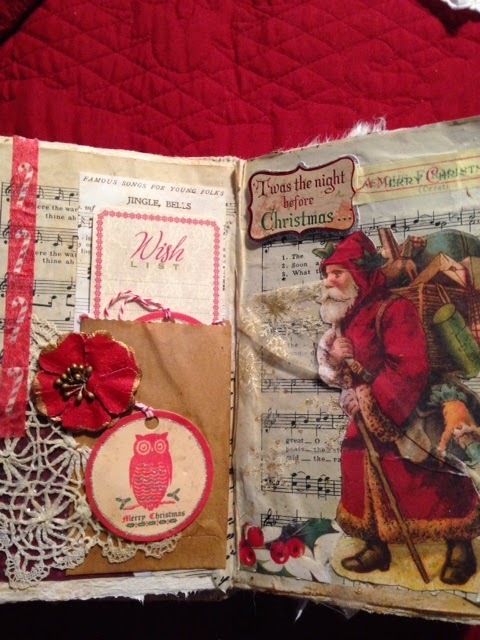 Working on an altered Christmas book for fellow artist Michelle at nook and cranny...adore her work,...this is a labor of joy for an art friend that will cherish my creation! 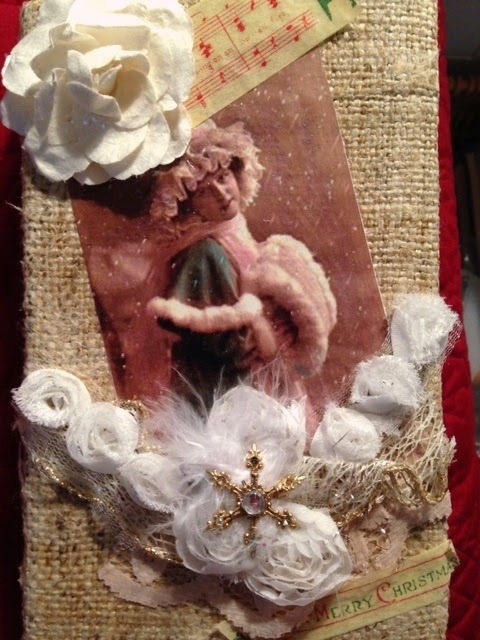 Can not wait to swap it and see what she has created! 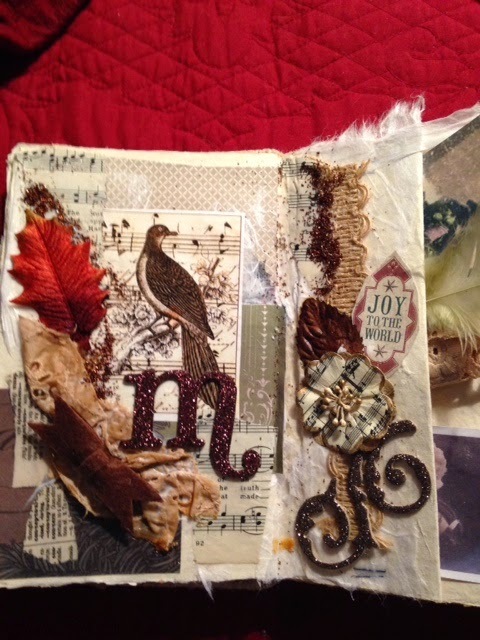 Each page will hold a treasure for her to use! 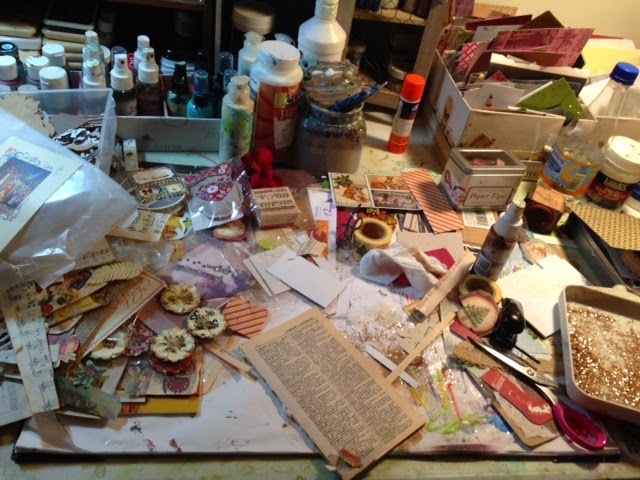 it takes a mess to create a work of art!